Des d’Indox Energy Systems us desitjem Bon Nadal i pròsper any nou 2019! Desde Indox Energy Systems os deseamos Feliz Navidad y próspero año nuevo 2019! 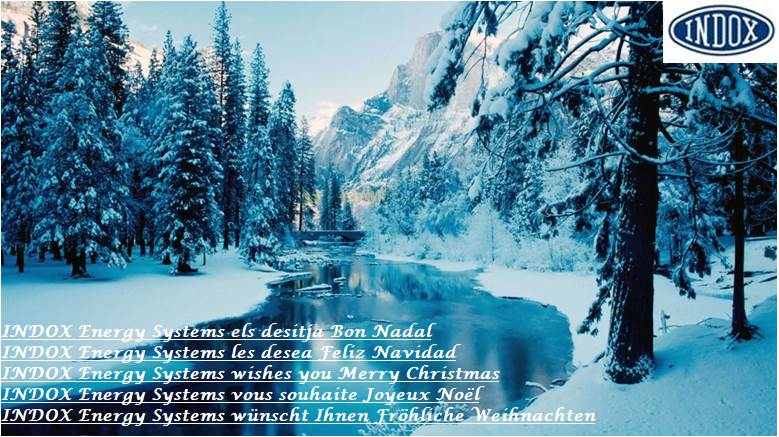 From Indox Energy Systems we wish you Merry Christmas and a happy new year 2019!